When I give brewery tours at Ale Asylum, a homebrewer or two can usually be counted among the attendees. Aside from the occasional showoffs who ask a bunch of questions to which they already know the answers, I very much enjoy talking with other brewers. I feel the same way about people with biology and chemistry backgrounds who may not be familiar with the breadth of the brewing process, but understand certain aspects of it very deeply. On a recent tour, a homebrewer asked me a number of questions that demonstrated both a strong grasp of brewing science and a desire to learn more. Given his level of knowledge, one of his questions surprised me: how much yeast he should pitch? P = ((116.716 x SG - 569.851) x SG + 1048.046) x SG - 594.914. If you plan to ferment 5.5 gallons of 15P ale, your target pitch should be 0.75 x [5.5 gal x 3785.4 mL/gal] x 15 / 1000 = 234 billion cells. If you're going to use dry yeast, you can assume each gram contains 14 billion viable cells (20 billion cells at 70% viability). I got the number from this BYO article, and it's worked very well for me. Continuing with the same example, 234 billion cells translates to 234/14 = 17 grams of dry yeast. If you're going to use liquid yeast, you can assume Wyeast Activator packs and White Labs vials each contain 100 billion viable cells minus 5 billion cells for each week after the manufacturing date (Wyeast prints manufacturing dates on its smack packs, and the Best Before date on each White Labs vial is four months after its manufacturing date). With liquid yeast, it's far more economical to make yeast starters than pitch multiple packages. The Mr. Malty and YeastCalc websites will calculate yeast starter volumes for you, but they each have limitations that make them somewhat cumbersome: the Mr. Malty program only calculates the volumes of one-step starters and the number of packs/vials needed to pitch into them, while YeastCalc makes you guess your starter volumes to arrive at your final cell counts by trial and error. My pitching spreadsheet (available at http://sites.google.com/site/republicbrewpub/ as Yeast_Gallons.xlsx) is probably less intuitive, but it'll use your starting cell count to calculate the ideal number of starters and the required volume of each. If you didn't read it the first time around, this post will help you compensate for the impact of a starter on the gravity and hop bitterness of your main batch. A friend sent along this article about America's Best Cities for Hipsters. From its own introduction, one of the strongest factors was the presence of craft beer in the city: "To zero in on the biggest hipster crowds, we also factored in the results for the best microbrews and the most offbeat and tech-savvy locals." You can go read the article to find out the best cities for Hipsters. Madison, somewhat surprisingly, didn't make the list, but quasi-Madison locales like Denver (though the real hipsters are in Boulder), Austin, and Portland, not surprisingly, are on the list. "[Y]oung people with mop-top haircuts, swinging retro pocketbooks, talking on cell phones, smoking European cigarettes... strutting in platform shoes with a biography of Che Guevara sticking out of their bags. ... You graduated from a liberal arts school whose football team hasn't won a game since the Reagan administration ... you have one Republican friend who you always describe as being your 'one Republican friend.' ... A Hipster ideally possesses no more than 2% body fat." "I went to n+1’s “What Was the Hipster?” panel discussion at the New School on Saturday but went away a bit unfulfilled. We all had a stake in defining “hipster” as “not me.” ... Like “douchebag,” “hipster” was a name that no one could apply to oneself. But the opportunity to call someone else a “douchebag”: that offered the would-be hipster a means of self-identification by a name one could say, looking outward. 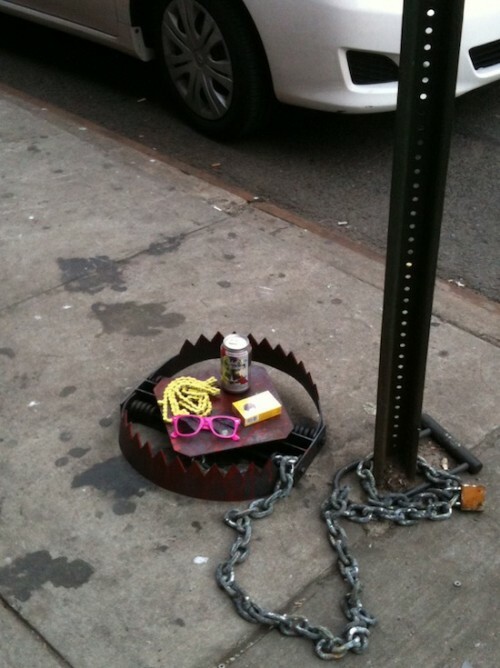 In the douchebag, the hipster had found its Other." The Urban Dictionary says this about Hipsters: "Although hipsters are technically conformists within their own subculture, in comparison to the much larger mainstream mass, they are pioneers and leaders of the latest cultural trends and ideals." This seems to take a much less maligned view of the hipster; they are not cultural wanks and ironic copycats, but rather seek out new and interesting cultural artifacts. Hipsterism often results in anachronistic remixes of culture, to wit: Pabst Blue Ribbon, a quintessential working-man beer, in trendy night clubs. Is this a crass usurpation of goodwill or an intriguing statement on the acceptance of the bourgeois by the effite? PopMatters' Editor Rob Horning looked to explore this identification of hipsters as modern aesthetes: "[I]s the hipster a kind of permanent cultural middleman in hypermediated late capitalism, selling out alternative sources of social power developed by outsider groups .... Hipsters are the infiltrators who spoil the resistance—the coolhunting collaborators and spies." So, here you have this identification of hipsters as a modality for bringing social power developed by outsider groups to the mainstream. In other words, the whole purpose of hipsters is to assimilate the resistance. It seems to me, then, that hipsters are necessary for the continued growth of craft beer. What began as a resistance movement, and make no mistake, craft beer began as a resistance movement, is being assimilated by the mainstream. Thus, you have not only an outsider group and cultural identity ripe for appropriation, but it fits squarely into the artistic milieu of hipsters alongside graffiti art, Wilco, and the Underground Food Collective.